Earlier this week Verizon announced its new Share Everything plan, which Adam wrote about here. The short version? Verizon customers will soon be paying an access fee per device, and they'll buy a data plan to share among all devices. There are two important industry trends that Verizon's pricing change have cemented. First, this marks the end of unlimited data plans. Second, it instead defines voice and SMS as an unlimited commodity. Voice and SMS now come baked into the access fee. So in a world where people are using more and more social media, email and instant messaging, Verizon is dumping separate pricing for voice minutes. That's because in the long term, voice can't be charged for separately. Right now there still is a separate charge. How else do you explain a smartphone access fee costing $40 but a tablet costing only $10? Tablets can consume far more bandwidth, yet the access fee is one quarter the amount? This is Verizon's attempt to keep collecting voice revenue as long as possible. They're just hiding it with a new name. But think forward a few years. Everyone is using smartphones. Skype is available on all platforms (hopefully even BlackBerry!) Networks are all 4G. Connectivity is at an all-time high. Voice becomes another app. It's already possible to run independent VoIP clients on mobile devices, but it's just not something you do unless you're a tech geek and it won't truly be practical without 4G. Things are gonna change. Carriers are quickly moving into a world where they can't charge for voice AND bandwidth. They know it. They're milking it as long as they can. In Verizon's case, it's also interesting to note that their new data plan will cost most individual customers more money. They'll lose some customers as a result of this. But families will save money, and family plans are stickier. So Verizon will lock as many families as possible into its new "money saving" plans now. But as time marches on, industry forces will reduce the access fees per device, and Verizon will make a killing by (likely) being much slower to drop their own pricing. Personally, I think Verizon's new plan essentially confirms the death of the dumb phone. Plain old flip phones will cost you a $30 device access fee, whereas a smartphone only costs $10 more. It's a no-brainer. 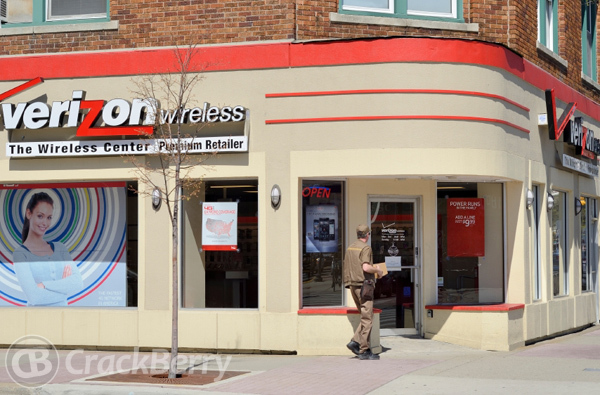 As far as the carrier business goes, I think Verizon will hold strong in the USA. The only real competition comes from AT&T, seeing as T-Mo and Sprint just don't have the financial strength to compete with this duopoly. But in other markets, where there are multiple strong wireless carriers, I imagine that the same thing will happen, in time. And with multiple strong competitors we'll end up seeing device access fees that are much lower. This will be tricky for carriers. They're truly becoming dumb pipes, as much as they don't want to admit it. In its early days, RIM was so strong because of deep carrier relationships. Unfortunately, that's no longer a winning strategy. Carriers don't have the power anymore. Customers don't respect carriers. They put up with them. With the death of the dumb phone, commoditization of voice and SMS, and the end of unlimited data plans, the world BlackBerry 10 must compete in is very different. I'll end this post with a question. What can RIM do to give its users the best possible data sharing experience on its devices? They've got Bridge. They've got Mobile Hotspot. What other bright ideas could they implement to strategically benefit from the changes happening in the mobile industry?